A wild tiger jumps from your augmented reality T-Shirt towards your friend. 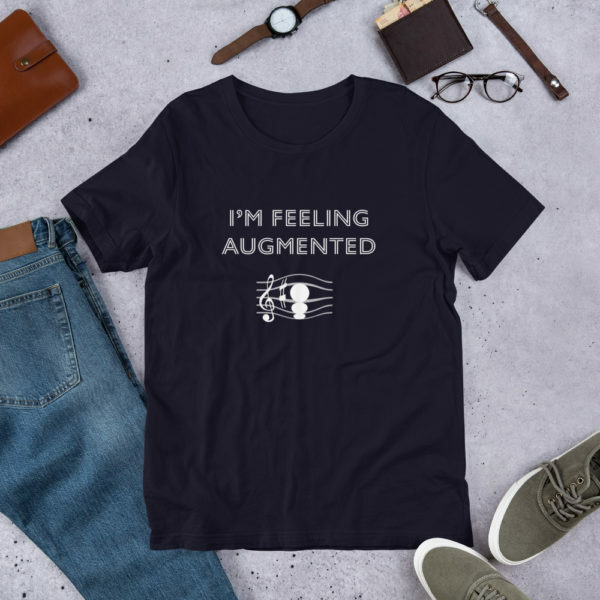 Amaze your friends with this interactive augmented reality t-shirt. Best of all, there is nothing to install. 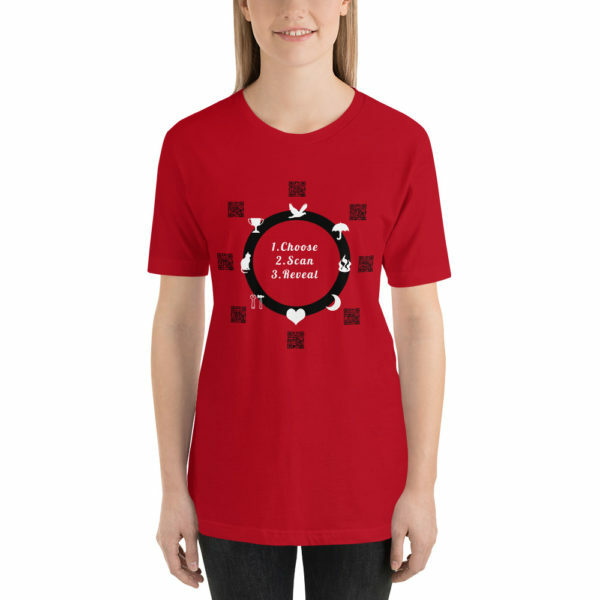 See how easy is to use our augmented t-shirts. 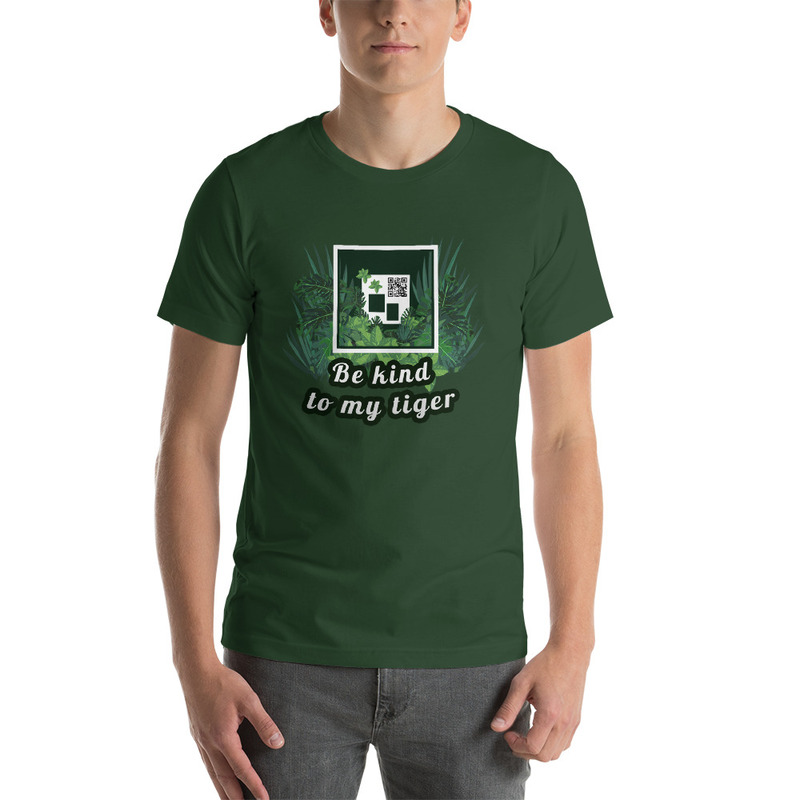 Be kind to this interactive tiger! Point the phone towards the interactive T-shirt design. 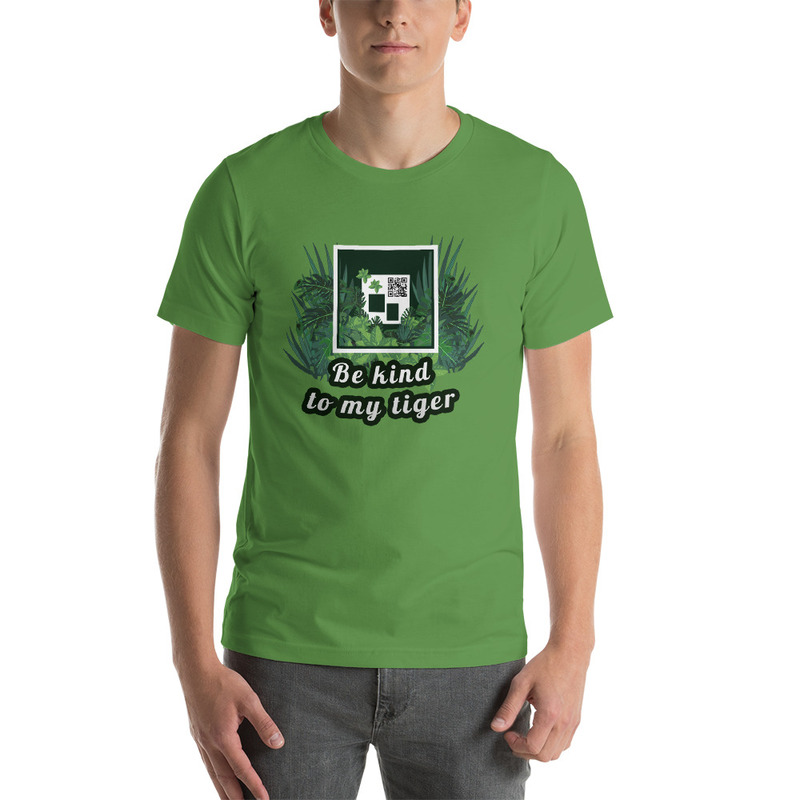 The augmented reality app activates the wild Posterini tiger through the mobile phone screen when it identifies the pattern on the interactive t-shirt. The light falling on the augmented reality t-shirt design must be uniform. Avoid reflections, light that is too bright or too dim. For the phone to detect the design in the interactive t-shirt, light conditions must be even. 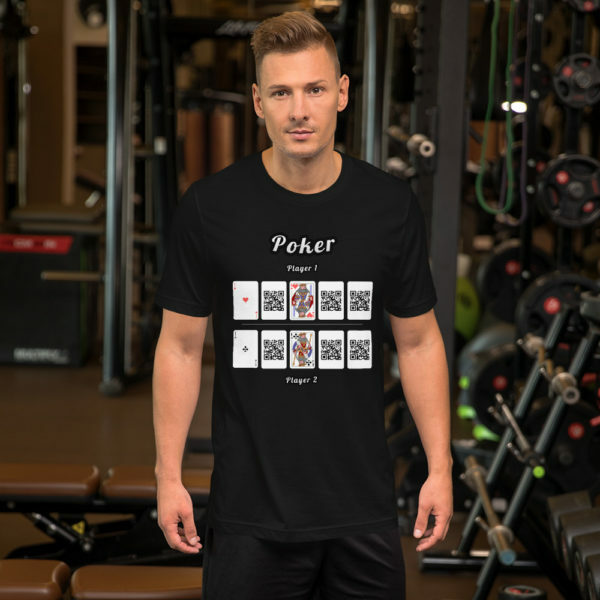 Also, avoid wrinkles and distortions in the fabric of the augmented reality t-shirt so that the interactive design can be recognized by the augmented reality web app. This augmented reality t-shirt is everything you’ve dreamed of and more. It feels soft and lightweight, with the right amount of stretch. It’s comfortable and flattering for both men and women.